This 3-hour video is a brief overview of Dialectical Behavior Therapy (DBT). It begins with a short Mindfulness exercise, and then describes the basics of the treatment. 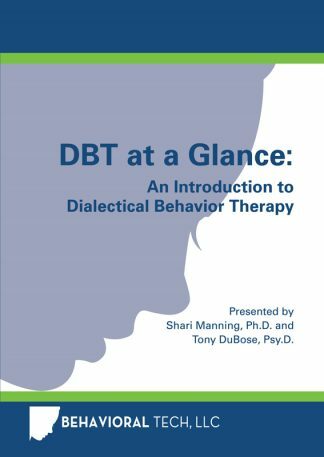 DBT experts, Shari Manning, Ph.D. and Tony DuBose Psy.D., use their extensive clinical and training experience to bring this introduction to life. 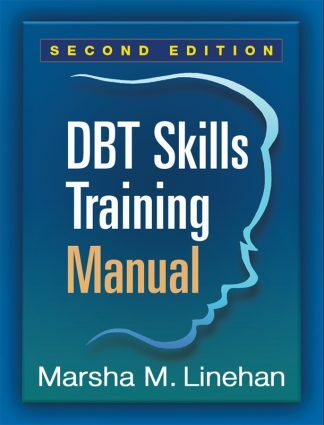 If you are a clinician new to DBT, it is highly recommended that you view this DVD prior to participating in any of our instructor-led trainings. 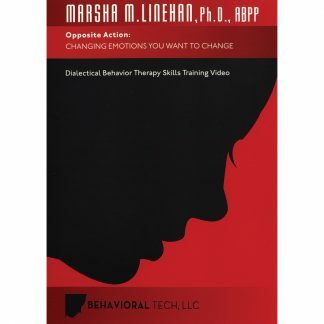 Intended Audience: Clinicians, family members, DBT clients, and prospective DBT clients. These videos are now available to stream online through our Vimeo site: Streaming Videos for Clinicians. 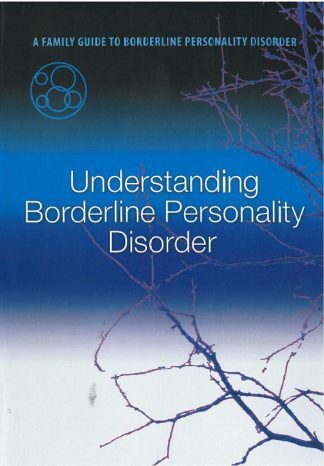 Shari Manning, Ph.D. & Tony DuBose, Psy.D.